Greetings from Wales! The Year 6 team is safe and well in Pembrokeshire after an exciting day exploring Big Pit. Leaving Taunton, we made good time and enjoyed the sights on the journey there. Earlier than expected, we arrived at Big Pit coal mine where we had lunch and enjoyed the sun and fresh air before beginning the mine experience. Going 90 metres down to the pit in a lift (appropriately called a "cage") would have been a familiar experience for the miners of Wales but was all-new for the Year 6 children. Congratulations especially to Stanley who overcame his initial trepidation at being underground. 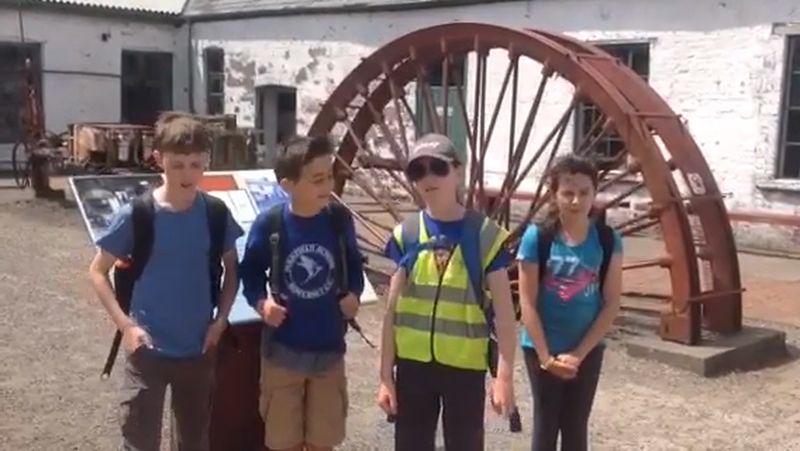 We saw the drams (minecarts), the horses for the stables, experienced pitch-black darkness when we turned off our headlamps, met canaries and learned about the dangers of carbon monoxide and methane gas as well as the origins of the Davy lamp. One of the guides even commented on how sensible the children were and what super questions they were asking. After returning the surface, we explored the Big Pit Experience museum which showed some of the enormous machines used to keep the mines operational. On the journey to Manorbier, some of the children enjoyed practising the lines and songs for the production. We reached Manorbier at 5pm and had time to settle in and let off steam in the fields outside in sight of the brilliantly blue sea. The children have now settled down for the night, preparing for the castle visit and more tomorrow!